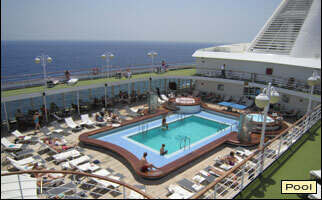 Take a dip in the saltwater pool - or laze in one of the two poolside hot tubs - or relax on one of the deck chaise lounges. Attentive servers fulfill your food and beverage desires. 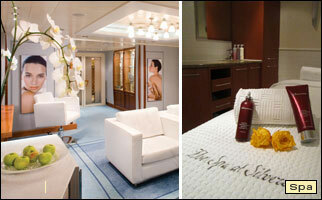 It offers treatments and massages and has saunas and steam rooms. And the salon does hairstyling and cutting for both sexes. 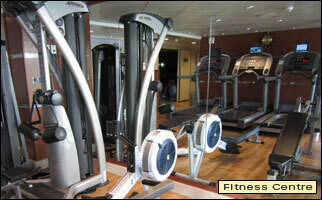 You'll find a variety of exercise equipment in The Fitness Centre, including treadmills, bicycles, and weight machines. Aerobic and yoga classes are regularly scheduled. Jog or walk the outdoor track. 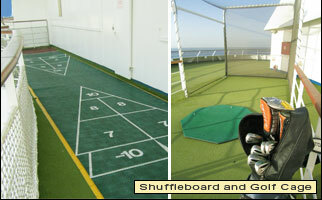 Play ping-pong and shuffleboard on the deck. Hit golf balls in an outdoor cage.